Heute möchte ich einige Bilder aus meinem "Inspirationsordner" mit euch teilen. Schaut euch diese wunderschönen und stylishen Frauen an! Today I want to share some of the pics of my "inspiration folder". Look at those beautiful and stylish girls! das vierte bild gefällt mir. der rock ist klasse! 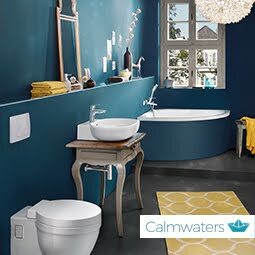 du, ich hab grad mal meine blogliste durchgeklickt, wo ist denn nadines blog geblieben? 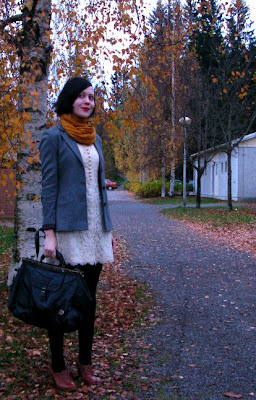 das outfit aus dem finnischen blog ist toll. der rock rockt. I adore your inspirational looks, especially the first one! So weit ich das gerade herausgefunden habe, ist Patricia Field auch die Stylistin von dem Film. Ich finde die Sachen sind wundervoll gewählt, vor allem das Kleid als Brautjungfer!! Hammer. Wooooah die bilder sind der Hammer! Besonders gefällt mir das oberste,das grüne Kleid und das Outfit ganz unten!! Inspirationsordner klingt nach einer guten Idee!! ohja! Echt schöne Outfits! :) Die letzen zwei mag ich besonders gerne. hmm, alle sind wirklich klasse! I love how they all look very strong and very feminine. Ich mag das erste total! I love only shallow:) The others had grate style also. i love peeking into other people's inspiration folders! Oh, the first and last shots are especially stunning! thank you so much for dropping sweet comments on my blog. mr. freddy's happy to hear from you. these ladies are so stylish esp the 1st and the last photo..i love their outfits. oh the green and black is the best, for sure! schöne bilder. ich mag das kleid und die farbe beim dritten bild. beim ersten ist der schirm cool und beim letzten mag ich die farben. 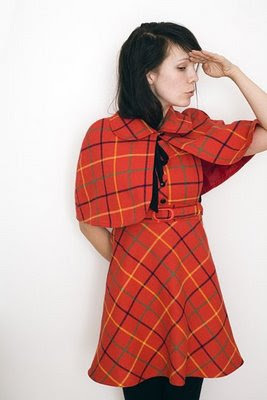 That vintage check dress and cape set is so, so cute, I want! i like the girl's umbrealla on the first photo! those are all so wonderful! i love the 4th one 5th ones the most! i adore the first 2 pics n d last one :o) gr8 inspiration babes! a collection of great looks! Das letzte ist total toll. Meine Schuhe sind von vögele shoes. Hast du mich eig schon umgelinkt? spiegelt sich dein stil irgendwie wieder finde ich.. I love all those pictures especially the first one, she looks so romantic ! thank you for posting me and liking my vintage plaid dress and cape!